On Valentines Day 2017, the Opposition Leader, Tim Nicholls introduced the Bail (Domestic Violence) and Another Act Amendment Bill 2017 into the Queensland Parliament. The Bill will see a massive change to domestic violence bail laws. The proposed Bill was prompted by the tragic death of Ms Terresa Bradford, who was killed by her estranged husband two weeks earlier. Sadly the death was not uncommon with eighteen Queensland women dying in DV related incidents in 2016.
receives a variation to a bail condition. A process to stay grants of bail for three (3) days, while bail is appealed by police. A serious violent offence (SVO) as defined in the Penalties and Sentences Act, if the offence is also a Domestic Violence offence. In our earlier blog post ‘Electronic Tracking for alleged Queensland DVO Offenders‘, we discussed GPS Trackers. The Bill requires a court or police officer authorised to grant bail to consider requiring an accused person to wear a tracking device while the person is released on bail. The Bill also requires that the court consider imposing a special condition that prohibits the accused from approaching within a stated distance of a place regularly frequented by the complainant for the offence such as their place of residence or workplace. Where a person charged with a relevant domestic violence offence (see above) makes an application for bail or an application to vary their bail, the prosecutor must give the aggrieved notice of the application within 24 hours of the application being made. If bail is granted the Court or Police must give notice to the aggrieved of the date that the person is released and the date that the person is next required to appear at Court. This information is to be provided immediately to the ‘person at risk’. The Corrective Services Act 2006 is also amended by the Bill to enable an ‘eligible person’ to receive information about a prisoner. An eligible person can be any person who satisfies the Chief Executive that they have been the victim of Domestic Violence, perpetrated by the prisoner. It is not a requirement that the prisoner is in custody for an offence against the eligible person. any particular circumstance that could reasonably be expected to endanger the physical safety of the person. A prosecutor can appeal the decision to grant bail to a person charged with a relevant domestic violence offence. In those circumstances the accused person can be held in custody until 4:00pm, 3 business days after the decision is made. So that a person granted bail at 10:00am on a Friday morning could be held in custody until 4:00pm the following Wednesday. 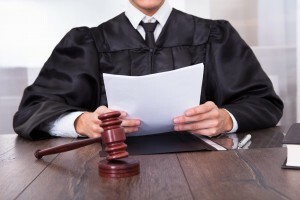 If the person has been released prior to the appeal by the prosecutor, the reviewing Court may give effect to the stay, by issuing a warrant of apprehension. The prosecution has always had the power to appeal the decision of a court to grant bail. The current amendment is to permit the police to hold the person in custody for up to three business days. This provision is said to mirror section 40 of the New South Wales Bail Act. Following the January 30 death of Teresa Bradshaw, there is a call for bail conditions to include the wearing of a tracking device by alleged domestic violence offenders. Ms Bradford was killed by her estranged husband, who was on bail for DV offences at the time of her death. The Queensland Police Minister, Mark Ryan said that he has on ‘open mind’ on the introduction of the technology. This move has also been supported by the Queensland opposition leader, Tim Nicholls. The complainant, can have a device which will alert authorities should the defendant approach within a pre-determined range. The rationale is that police can be notified before actual contact occurs and thereby prevent further acts of domestic violence. In late 2016 the NSW Department of Justice trialed 60 Electronic Tracking Devices for Domestic Violence Offenders. Victoria has had the power to order tracking devices and is said to be happy with the results. The ACT and Northern Territory are said to be closely watching the New South Wales Trial. While Queensland Courts do have the power to impose such conditions, it is clear that some form of government monitoring is required before such a scheme could be successfully implemented. 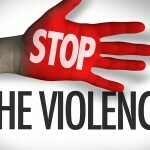 For specific legal advice on Domestic Violence you should immediately contact Gatenby Criminal Lawyers on (07) 5580 0120. Contesting a Domestic Violence Application under Queensland’s Domestic Violence legislation can be a daunting. You should carefully consider the Application before you decide how to respond to it. We provide our tips for challenging a Protection Order. Does a relevant relationship exist? If the Applicant can not establish this then the Court can not grant a Protection Order. Does the application establish that Domestic Violence has occurred? The Applicant must establish that an act of Domestic Violence has occurred. Domestic Violence means behaviour towards another person that is abusive, threatening, coercive or controlling of the other person. If the behaviour does not meet the threshold of Domestic Violence then the Court can not grant a Protection Order. Does the application set out why it is necessary or desirable for an Order to be made? If you agree that there was an act of domestic violence and that you are in a relevant relationship, you may still contest the making of a protection order. Are the conditions sought reasonable? The Applicant can seek an order with the mandatory conditions, to be of good behaviour and not to commit acts of Domestic Violence. The Applicant can also seek more restrictive conditions such as no contact direct or indirect. They may also seek conditions that require you to leave the family home and not return. You should very carefully consider the conditions that are being sought and think about whether they are reasonable. In some instances it may not be practicable to have no contact with the Applicant, for example if there is a need to see mutual children or attend a joint workplace. In considering whether it is necessary or desirable to make a protection order the court must consider the principles set out in Section 4 Domestic and Family Violence Protection Act 2012 and whether any voluntary intervention has been entered into. Who else does the order seek to protect? relatives and associates of the aggrieved. A protection order can restrict contact with not only the Aggrieved but also, children, relatives and other associates. Our lawyers have a wealth of experience in Domestic Violence matters and can provide you with pragmatic advice. 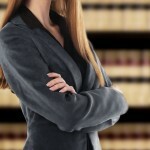 We can assist you in understanding the conditions that are being sought and appear as advocates. Increase maximum penalties for first-time breaches of DVOs to three years jail and subsequent breaches to up to five years jail. Give victims “special witness” status when giving evidence in court proceedings. 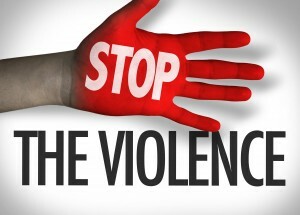 Record domestic violence-related offences on a person’s criminal history to reveal repeated family violence offending.